Bret LaBelle finished Survivor: Millennials vs. Gen X in fifth place. Season 33's Final 3 castaways were Adam Klein, Ken McNickle and Hannah Shapiro during Wednesday night's two-hour finale broadcast on CBS. Adam ended up winning the game with a unanimous jury vote. In an exclusive interview with Reality TV World on Thursday, Bret talked about his Survivor experience. Below is the concluding portion. Click here to read the first half. Reality TV World: Before Justin "Jay" Starrett went home, you were openly talking to him about how one of you was going at the next Tribal. How convinced were you walking into that Tribal that it was going to be Jay and not you? Bret LaBelle: I knew because it just comes down to common sense. Dave was a common-sense player and everyone else was a common-sense player, and you know, he was definitely a bigger threat than I was, by far. If Jay gets to the next step, he could run on the Immunity Challenges and win everything, and the next thing you know, he's sitting in the Final 3. So, I definitely wasn't -- I don't know. Adam -- who is apparently the judger of who's good at whatever -- didn't think I was a threat at challenges whatsoever. But I mean, Jay was definitely the bigger threat. So I was going with common sense, and it worked in that vote. It didn't work at the next vote. Reality TV World: When did you find out David had created Jay's fake idol? And what was your reaction? Bret LaBelle: I had heard some rumor that he had made an idol or something was going on with fake idols, but there just wasn't enough stock in it to believe it. I actually started to get my stuff ready when he pulled out that idol. It looked real to me. I never got too close to an idol; I wasn't lucky as everyone else. But when he pulled that out -- and my hat's off to David because that was a great job -- but when he pulled that out, you could see it on TV, I started to get my stuff ready. I was ready to go home. I look at [Sunday Burquest], she rolls her eyes, and then [Jeff Probst] says, "It's not [real]," so I put my stuff back down. I then knew I was safe. Reality TV World: On your way out, you announced to the group, "David congratulations. The rest of you, you just lost a million dollars." Did you 100% mean that or were you letting off some steam because Hannah had just betrayed you? Bret LaBelle: No, I 100% meant it. I said, "These fools are going to take him to the end because they think they can beat him and they can't." And listen, you get caught up in the moment. David and I were really going head to head for a couple of Tribals, so I definitely respect the hell out of him. It was definitely hard to lose that one. I'm a competitor like everyone else, but there was a moment afterwards when I felt bad, because I really respected David, and I considered David a friend from all the great conversations we had out there -- even though we were playing against each other. After I said it, when I calmed down at Ponderosa, I said, "Oh sh-t! I think I just ruined my friend's chances of winning the million." When you calm down and you really think it through, he really did deserve it, you know? Reality TV World: Do you think Chris Hammons' campaigning for Adam played any role in his victory? Reality TV World: Any regrets? Anything you'd do differently if you could go back and play this season over again? Bret LaBelle: I don't know. I was caught up in the moment, but I feel bad that I screwed [David] over. When I said, "Congratulations, David, you just won a million dollars," and then he lost or whatever, I think I really tainted the jury. They didn't show it but they all went crazy over there. And I feel bad, because David really played hard, and my moment of pissed off probably affected him later on, you know? 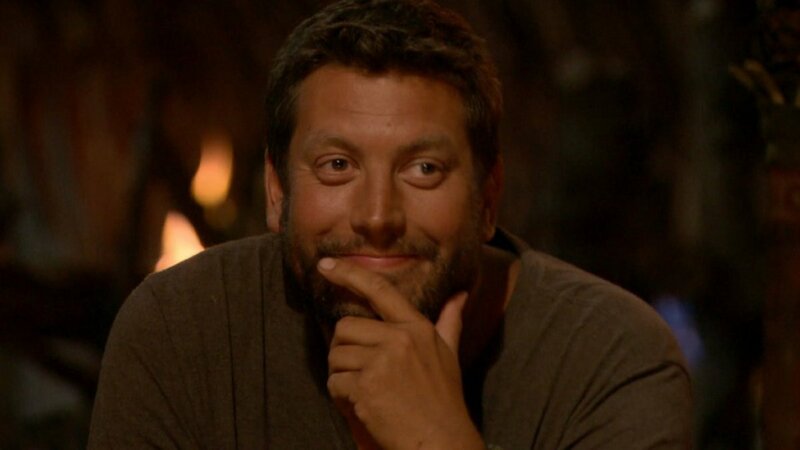 To read the first half of Reality TV World's exclusive Survivor interview with Bret LaBelle, click here. To read more interviews with this season's Final 6 castaways, click here.